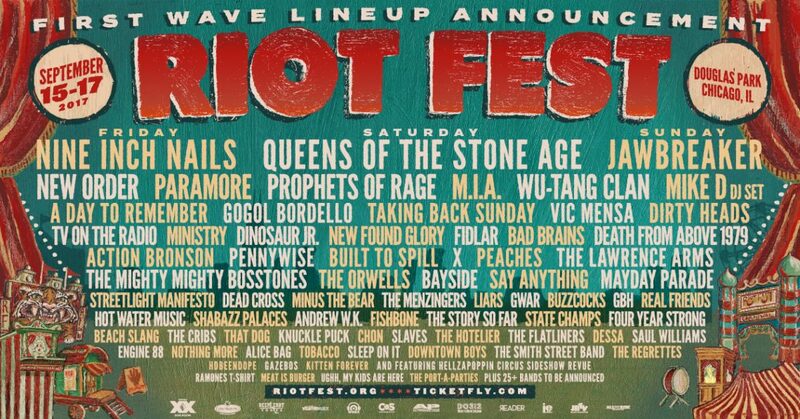 The first round of performers for Chicago’s Riot Fest 2017 has been unveiled. This year, Douglas Park will be jam packed with three amazing headliners–Nine Inch Nails on Friday, Queens of the Stone Age on Saturday, and a special Jawbreaker reunion set to wrap things up on Sunday. Attendees can expect an eclectic group of favorites, including New Order, Paramore, Prophets of Rage, M.I.A., Wu-Tang Clan, Mike D (DJ Set), A Day to Remember, Taking Back Sunday, and many more. The festival will also feature newer acts like Beach Slang, State Champs, and Chicago’s own pop punk group, Knuckle Puck. According to organizers, the grounds will feature a full-blown carnival, complete with rides and games, as well as the fan-favorite Hellzapoppin' Sideshow Revue freak show. If you’re feeling a little hungry after crowd surfing and winning carnival prizes, you can also check out the dozens of food and drink vendors that will be onsite. 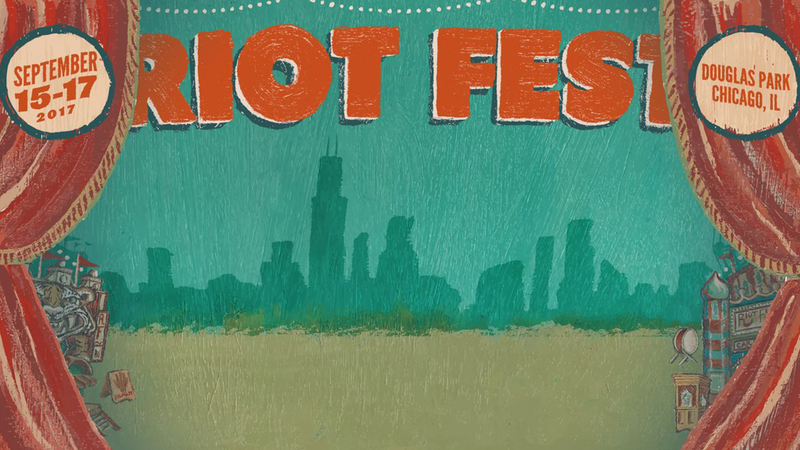 This year's Riot Fest will kick off Friday, September 15 and run through September 17. Three-Day Passes go on sale today at 12 p.m. Central Time, and you can find that information here. According to a press release, there will be an additional 25+ bands added to the lineup sometime in May, but for now, be sure to Track all of the artists on the current roster so you never miss them in your city!